It has long been thought that, if ghosts are real, then they might be here for some reason. Perhaps it is because of some extreme emotional trauma that they remain tethered to this plane or maybe they had some unfinished business or un-obtained goal in life that keeps them tied to this world in death. Most of the time we cannot possibly know what these entities want and so they linger here with their inscrutable errands, trapped amongst the living, perhaps for all eternity. Yet on some occasions the ghosts seem to be successful in achieving what they desire, and here are some odd and curious cases of ghosts who have righted wrongs against them in life and even solved their own murders from beyond the grave. 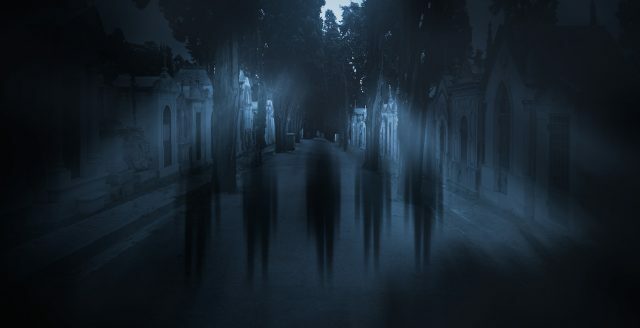 A very odd case of a ghost supposedly coming forward to solve their own murder is the eerie case of 47-year-old Teresita Basa, a respiratory therapist who was in 1977 working at a place called Edgewater Hospital, in Chicago, Illinois. She was mostly a very normal woman who did her job well and was well-liked by her co-workers, and no one would have possibly predicted the horrific events that were to unfold for her. On the evening of February 21, 1977, firefighters were called to Terasita’s apartment complex on a fire call, and the call led them right up to her own apartment. When the firefighters gained entry into the room they were horrified to find that the tenant, Teresita Basa, was naked, badly burned, and covered with a mattress, but rather than the fire it was mostly surmised that the large kitchen knife sticking out of her chest was what had probably killed her. The case was immediately considered a murder, and an investigation was launched that quickly ran into dead end after dead end. There were no suspects, no evidence, and no clues except for a cryptic note scrawled in a journal, written by Terasita and merely reading “Get tickets for A.S.,” which may or may not have had anything to do with anything. No one knew, and other than that there was absolutely nothing to go on and the case quickly went ice cold. That is, until a very bizarre and unlikely lead came forward, which would propel the case into the annals of the strange.